OET has all the human and technical resources required to handle your low-voltage electrical projects, from the design phase through to final site installation and launch. Our electrical and electro-technical design team come up with solutions tailored to your equipment, in compliance with all applicable standards. 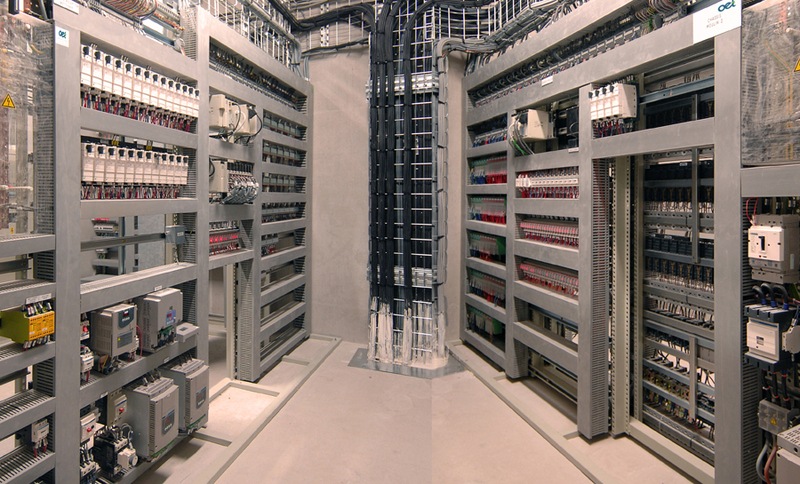 At OET we assemble and construct equipment in our dedicated cabling and hardware workshops. We work on sites in France and internationally. Our support services include training, inspection and analysis of your installations, as well as breakdown repair and telephone support. Design of low-voltage boards, control systems, cabinets and other low and medium-voltage equipment. Testing and analysis of low-voltage networks, operational launch of industrial systems.